What changes have occurred since new management came on in 2011. The Matchbook has in place to draw interest in their service. How Matchbook can operate on incredibly low margins. What technological advances are being made in their product services. The future of Matchbook according to Mark. David Duffield: Hi, this is David Duffield and welcome to another episode of the Betting 360 podcast. This week, my special guest is Mark Brosnan the CEO of Matchbook.com. 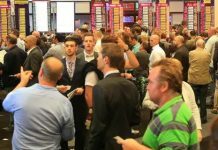 They are a rapidly growing betting exchange and I think that’s a very healthy thing for the sports betting industry to have a competitor that’s going to give Betfair a run for their money. They’ve come in with a low margin model which is great news for punters because it’s only a one percent commission. Thank you for coming on today Mark and can you just kick things off by telling listeners what Matchbook is? Mark Brosnan: Matchbook is what we classify as the world’s fastest growing betting exchange. It’s been around for 10 years and now under new ownership since 2011. Matchbook’s core competency up until 2011 was more of a B-to-B type offering, a clearing house as you would for large institutional type players for sportsbooks for clearing larger positions or hedging large positions that they didn’t want to keep under book going into game time particularly on North American sports and tennis. Under new ownership came a lot of new investment and a new focus on bringing this big liquidity pool created by the institutional players to the customers. I think our goal and our main strategy in Matchbook is to turn Matchbook into the world’s largest provider of high volume low margin liquidity. The mechanism we use to create a product is Matchbook and Matchbook is a betting exchange like a number of other betting exchanges out there. I myself have been in the industry for 10 years. I’ve seen 32 different betting exchanges try and fail and there’s only a handful of betting exchanges providing any meaningful liquidity out there and Matchbook is close to the top of that list. David Duffield: Okay, you mentioned 2011 was a fairly dramatic change in the betting landscape with what happened in the US. That’s the time that new investors and a new management team came in for Matchbook? Mark Brosnan: Absolutely, so the investors are a UK group of investors, very well financed and active in the gaming industry previously. They saw an opportunity in terms of the way that other liquidity providers in the industry had kind of shifted their focus from providing a low margin product. You are looking at some of our competitors introducing premium charges or increasing their commission rates and they’d also seen a large opportunity for low margin high volume betting in Asia with Asian handicaps being a very popular offering in Asia. There was a void in the market really in Europe for that kind of product offering. We went about a very ambitious five-year strategy in terms of converting Matchbook into the world’s leader for low margin liquidity. We are about two and half years into that process now, part of which was launching a brand new version betting exchange last June and following on that with very strong marketing and branding promotions. At the moment, for example we are doing zero percent soccer, which is proving quite popular. David Duffield: You must be looking forward to that winding up in about 6 weeks time. It’s a good loss leader but yes, at zero percent commission there’s not a lot for you at this stage so that’s all part of your growth strategy obviously. Mark Brosnan: Absolutely, a view that we’ve taken here at Matchbook was to make sure that we could have a very low cost base going forward. Everything we’ve done from a technology perspective and a marketing perspective and an operational perspective has been to keep our costs as low as possible. Our standard operating commission is an industry-leading one percent and we are able to operate on very low margins. 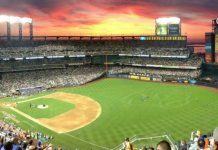 What we find with people coming on for the zero percent soccer promotion find our product such as tennis, golf, baseball, hockey, basketball extremely competitive and our volumes are growing there. That’s more than paying off for what we are losing out on the soccer side. We are seeing huge growth. We’ve seen 350 percent growth in our active user base and in our volume trades in soccer in the last three months. Those trends are continuing and if they continue, we are going to be the number one place to bet on soccer or football. We hope to be able maintain a very low cost base going forward. We are going to extend our zero percent soccer on in-running for a further six months and we are going to look at keeping our Asian handicap offering at zero percent as well. 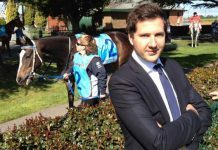 David Duffield: For punters, I think I speak on behalf of a lot of them that aren’t really aware of Matchbook, obviously Betfair’s the dominant player as a betting exchange. Obviously, I don’t think horseracing is on the horizon anytime soon but for the sports betting offering that you’ve got, what would be of interest to the punters? You mentioned the Euro sports, soccer, the American sports liquidity as you say is pretty good considering you can’t take American players, is that right? Mark Brosnan: Absolutely, we don’t take any customers from the United States but US sports are actually quite popular in Europe and Asia and we have a very strong liquidity pool there. On the football front, we are doing a lot of comparison and analysis at the moment with third party auditors and they are confirming that on the top leagues we’ve got the best liquidity and price on football. We also do AFL, we also do high limits rugby union and rugby league and we’ve got an extremely competitive commission product. We are going to be launching a zero percent cricket in running promotion that will last the bounds of 12 months from the middle of July. David Duffield: You’ve mentioned low price, high liquidity a few times. That’s one of the things that you say is the key differentiator from … well, hypothetically speaking if there was rather large dominant player in the marketplace. I’d say that’s where you guys get into the market. Mark Brosnan: Absolutely, again, we’ve got a very low cost structure so we can maintain low cost or a low price to our customers. For us it’s all about that volume, I mean having a large volume on a very small margin. It’s going to be our competitive advantage going forward but we are leveraging a lot of technology. The new website we’ve built is built in a very innovative technical stack and the version we have out there is just the very first version. We’ve got a very ambitious and innovative platform, which is going to be released in stages over the next three years. We are going to leverage our technology as well as our ability to create a very deep liquidity pool to become a market leader we hope. David Duffield: That includes iPhone and Android apps? Mark Brosnan: Absolutely, we have an iPhone app, we have an Android app being released later this month, we have an iPad app being released. Our website also operates as a web app; it’s a fully responsive design. 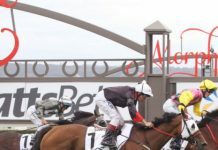 David Duffield: What about in play, it’s one of the legislative hurdles for an Australian punter as far as not being able to get online in play. How do you handle that and what’s the in-play market like? Currently, say for Australia and others in Betfair, we need to phone up, we can’t do it online, which is really ridiculous but that’s what we are stuck with. How does Matchbook handle that? Mark Brosnan: Depending on the jurisdiction, you are coming from, we allow in running. For Australia for example, we won’t be allowing in running directly and we are taking advice on that currently. David Duffield: Okay, so you mentioned the one percent commission. It is slightly different to some of the other exchanges in that it’s one percent on all bets rather than just winning bets. Mark Brosnan: Absolutely, it’s one percent in volume, which we find our customers actually like because they can actually build it into the price so they know what price they are getting with net when you are paying commission on your winnings and you’re not paying any on your losses. It’s very difficult for you to know in advance what you’re actually betting with are. It provides a large degree of certainty. In running, again, we are going to stick with a zero percent model for now. David Duffield: It’s zero percent in running, it’s zero percent soccer until April the first and we’ll add a link to the show notes because we’ve arranged with yourselves, very kindly offered zero percent basketball until the middle of March, I think March 17th. Across all those markets at zero percent so it’s one percent for everything else. Is there any variation from that in any way? There’s no any markets that are greater than that? There’s no reduction from the one percent based on turnover? Mark Brosnan: No, there absolutely is. Part of our strength is we’ve been able to bring a lot of the major market makers and liquidity providers on other platforms onto our platform by giving them discounts on the offer side. If you are willing to bring a lot of turnover and to create a lot of liquidity on our platform, we will give you a much lower commission rate on the offer side. One percent is our highest rate essentially. We do have cases of it being lower depending on the volume of course. David Duffield: Some of our guys have probably never even heard of the term ‘market makers’ so can you just explain that? Mark Brosnan: Market maker … an exchange is different to sportbook in terms of the bets that you are placing are not against Matchbook, they are against different individuals putting up offers. Essentially, somebody wanting to bet on Manchester United, when they put up a bet, they desire to bet on Manchester United, it comes up as a counter offer on Arsenal or it comes up against a lay offer on Manchester United. The people who are providing that liquidity, the offers and the liquidity you see in Matchbook are provided by people who put up offers as opposed to looking to bet into that market straight away. David Duffield: Okay, so people who are just getting a handle on this for the first time, how do you suggest people do get started on Matchbook? What’s the best learning curve I suppose? 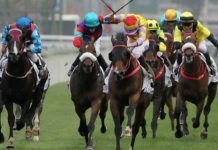 Mark Brosnan: The best learning curve is essentially to come on and to place a straight wager, see how that works out. Once you become more confident, if 1.9 is available for Manchester United or for Auckland or Sydney, what you do is you put about … you can ask for 1.91 or 1.92. When you submit 1.91 or 1.92, it goes in as an offer on the other side of the market and you’ll get a notification as to when someone matches the other side of the market. Like Betfair, instead of having to settle for the odds that are available, you can look for better odds. I would start with small stakes and I would play around with it and I would … particularly for when you are putting up offers, it’s important that you stay around to manage those offers and cancel those offers when you are not watching the screen. David Duffield: Are there any third party applications that work with Matchbook? I know Betfair have the approved provider page. Is there any such software that works with Matchbook? Mark Brosnan: We are in discussions … very nearing doing a deal with three of the providers that are on other exchanges and we hope to be able to make an announcement about that in the next four weeks. They will be high profile providers of trading software on the other large exchange. David Duffield: Okay, so just to wrap it up then, I think we’ve definitely emphasized the low margin aspect of it and the ease of use for anyone that has any understanding of a betting exchange. What else just to wrap things up for someone thinking about, “Should I check it out? Should I deposit some money?” Why should they get involved with Matchbook? Mark Brosnan: Yes, absolutely. I think a big saying we have is the proof of the pudding is in the eating. We could sit here all day and talk about how low the commissions are but if you’ve got a low commission rate and you don’t have the odds or the liquidity available to bet into it, it’s almost meaningless. Just come and check out Matchbook, see if you can get a better price anywhere else. If you can, talk to us, we’ll try to address that but in a lot of cases, we will be surprised if you can get bigger bet sizes or better prices on the markets that we carry. A philosophy we have is to build Matchbook not to have every market offering in the world but to make sure that when we do have a market offering that we quickly become market leaders in that. David Duffield: Excellent, all right, thank you for that. A pretty good case as to why people should take a look at Matchbook. I’m sure a lot of people will be doing that right now. I appreciate your time, thanks very much. Mark Brosnan: Thank you very much David. Click here for the exclusive offer for Champion Picks subscribers of 0% commission on basketball until March 17th, 2014.